Niger Delta activist and founder of the defunct Movement for the Emancipation of the Niger Delta (MEND), Chief Government Ekpemupolo (aka Tompolo) has vowed to make soldiers pay for the death of his father, Chief Thomas Osen Ekpemupolo one year ago. Speaking on the first year anniversary of the death of the late Thomas, Tompolo said descendants of the late patriarch would not rest until the masterminds of his death are found and held accountable. Tompolo, who is on the run over alleged N13billion fraud, though said that the search for justice would be prosecuted through legal means. He said, “As we mourn and remember our late patriarch, we will seek justice to apprehend and hold accountable the very soldiers responsible for his murder so that he can finally rest in peace and we his descendants can be fulfilled. “I will also not be deterred by persecution and state act of terror against my person and communities in Ijaw land in the quest for the emancipation of our land and people,” he vowed. It would be recalled that father of the former militant leader died from injuries he sustained when soldiers invaded Gbaramatu clan in Warri Southwest local government area of Delta State in September 2016. The octogenarian, who was allegedly brutalised by rampaging soldiers, later died in a private hospital in Warri, after his limbs were amputated in a desperate bid to save his life. 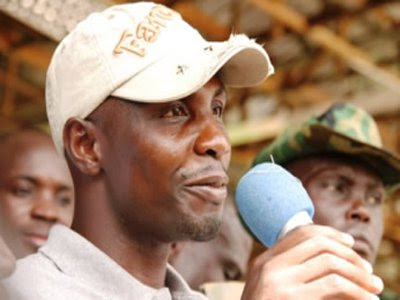 While using the incident as reference, Tompolo who is wanted by the Economic and Financial Crimes Commission (EFCC) for alleged looting of NIMASA fund, lamented his ‘persecution’. Ekpemupolo also traced his ordeal to his support for Governor Seriake Dickson in the 2016 Bayelsa State Gubernatorial election presumed as against the anointed APC candidate of the Federal Government, Chief Timipre Sylva. He denied involvement in destructive operation by the militant group, Niger Delta Avengers, stressing,“In an orchestrated plot the Nigerian Army was unleashed on Gbaramatu Kingdom in search of me, and the rampaging soldiers stormed my father’s home in Kurutie Town, physically brutalised him to the point of death. Besides, Tompolo accused the Nigerian Navy of looting his waterfront properties, jetties and other valuable, stressing that items worth over N10bn were looted by men of the Nigerian armed forces. “In the last taken inventory of my facility, there was over 10 billon naira worth of building and other materials in the Jetty, but information reaching me now has it that the Jetty has been stripped bare by service personnel of the Joint Task Force [JTF]. “Some of the materials presumably have been taken to Northern Nigeria. How could this happen under your watch? As rightly observed by other well-meaning Nigerians, let me echo their thoughts by asking ‘where is the much touted anti-corruption crusade? “The problem of environmental despoliation and degradation and issues of political, economic and social injustice and inequalities arising out of the oil and gas explorations aided by the policies of the Federal Government of Nigeria still looms larger by the day. Intimidation and threat is now employed to cow Niger Deltans in the place of engagement and positive tangibles,” he alleged. Well, that's between him an FG.